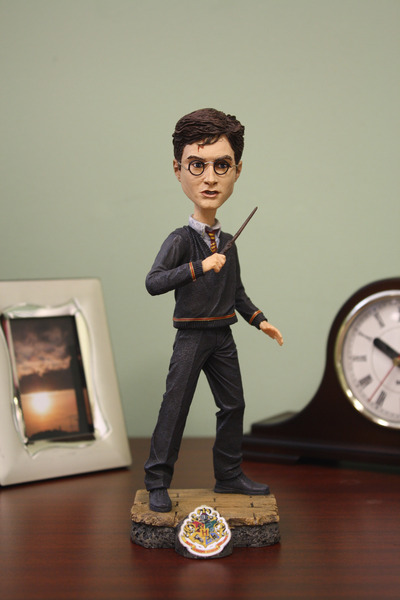 NECA has revealed a trio of new HeadKnockers based on the latest Harry Potter film. 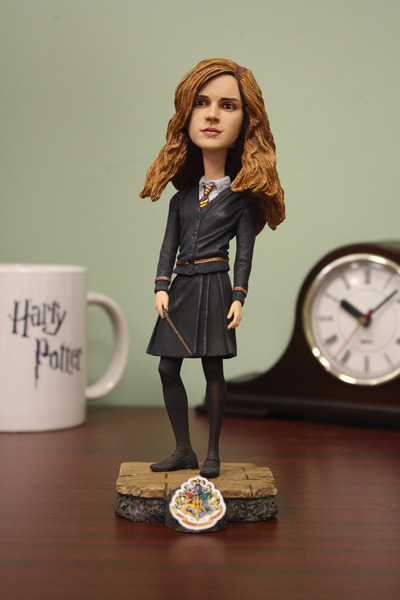 The HeadKnockers will include Harry Potter, Hermione Granger and Ron Weasley. 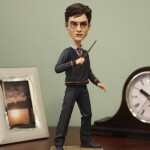 “In the wide wizarding world, there’s none so famous as Harry Potter, and as he prepares to settle the score once and for all with Lord Voldemort in Harry Potter and the Deathly Hallows, NECA is right there all the way. We’ve got a whole new line of goodies to celebrate the first part of the movie’s release in November, starting with three new HeadKnockers of Harry, Hermione and Ron! These intrepid young wizard friends have undertaken the biggest challenge of their lives, to find and destroy the Horcruxes and stop Voldemort before he can take complete control of the whole magical world, Hogwarts included. What better way to cheer these three heroes on than to keep their heads a-knocking, on your desk, shelf or dash? Everyone knows that’s how you root for the home team! 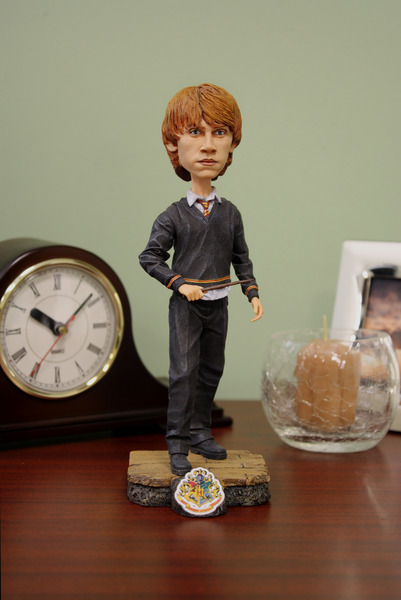 Our Harry Potter, Ron Weasley and Hermione Granger HeadKnockers are gorgeously hand-painted, stand over six inches tall and come each on a Hogwarts base, with brand new sculpts that capture their character perfectly. Whether it’s the strong leadership of Harry, the determination of Ron or Hermione’s fierce drive, you can see it all right on their faces. Their massively-proportioned, jiggling faces. See photos of all three Harry Potter and the Deathly Hallows HeadKnockers by clicking the headline of the story.